Brow lift surgery, also known as a forehead lift, elevates the brows and improves wrinkles in the upper portion of the temple area and face. This procedure removes excess skin and tightens the tissues to restore a rejuvenated appearance in the forehead, eyebrow and eyelid areas. Horizontal creases across the forehead are eliminated or minimized to reveal smooth, youthful skin above the eyebrows. Vertical furrows between the brows, known as “frown lines”, are improved to help express a more cheerful facial appearance. Drooping brows that hang over the eyes can make you appear tired or angry. With a brow lift, you can project a more alert, friendly and youthful appearance. Excess skin and fatty tissue from the eyebrows can be lifted to correct impaired vision from this overhang hooding the eyelids. 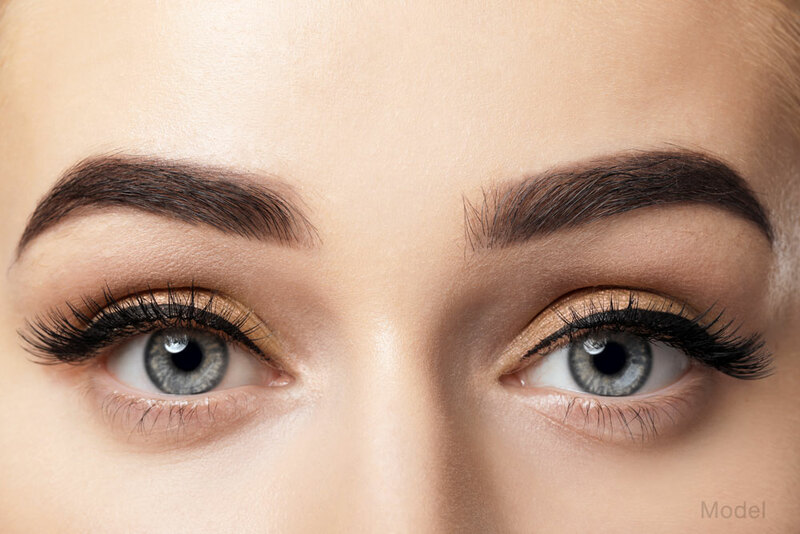 How do I know when I’m ready for a brow lift? Q. How to I determine which brow lift technique is right for me? A. During your consultation, you will meet with Dr. Knowling for an evaluation and to discuss your goals. He will take into consideration the amount of correction you require and a variety of other factors to help determine the right technique for your individual needs. Q. What procedures are commonly combined with brow lift surgery? A. Facelift surgery, blepharoplasty (eyelid surgery), and injectable fillers are often combined with brow lift surgery to achieve complete facial rejuvenation. Q. How do I know if I need an eyelid lift (blepharoplasty) combined with my brow lift to rejuvenate my eyes? A. Sagging brows as well as excess tissue in the eyelids can contribute to vision impairment and drooping in the upper eyelids. Dr. Knowling will assess the contribution of brow descent and skin laxity to your periorbital appearance. Lower eyelid surgery can also be performed to remove excess skin and bags below the eyes. Q. What is the time frame for recover after a brow lift? A. You will be advised to sleep with your back and head elevated for the first five to seven days after the procedure, and mild activities such as walking are encouraged during this time. Most patients can return to work one week after surgery, but strenuous activities and heavy lifting must be avoided for at least four weeks. Dr. Knowling will give you specific instructions to follow after your procedure to ensure the safest and most effective recovery. Have additional questions about the Brow / Forehead Lift procedure? Schedule a Consultation with Dr. Knowling for further information.